Texas Sen. Ted Cruz said Sunday that the U.S. should refuse any Muslim refugees from Syria but allow in Christians, because "there is no meaningful risk of Christians committing acts of terror." 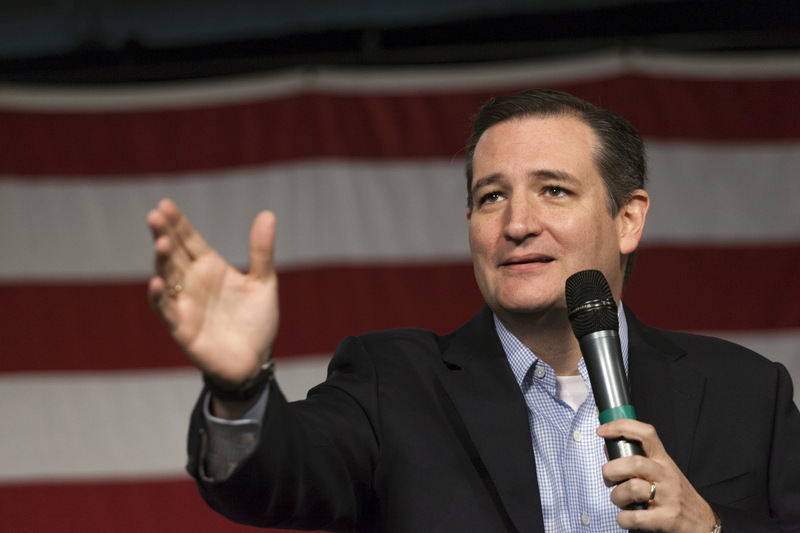 "If there were a group of radical Christians pledging to murder anyone who had a different religious view than they, we would have a different national security situation," Cruz, a Republican presidential candidate, said at an event in South Carolina. "We can't roll the dice with the safety of Americans and bring in people for whom there is an unacceptable risk that they could be jihadists coming here to kill Americans," he said. He said those in the Obama administration "pretend there is no religious aspect to this." Many of the Republicans running for president have soured on the idea of accepting Syrian refugees after the news that one of the attackers in Paris entered Europe with a wave of Syrian refugees coming through Greece. Several Republican governors have also said they will reject any of the refugees in their states to avoid a terrorist slipping through. Businessman Donald Trump, another of the 2016 candidates, even said the U.S. should "strongly consider" shutting down mosques. Former Florida Gov. Jeb Bush similarly argued in favor of preferential treatment for Christian refugees from Syria, but for different reasons. "But I do think there is a special important need to make sure that Christians from Syria are being protected because they are being slaughtered in the country and but for us who? Who would take care of the number of Christians that right now are completely displaced?" he said on "CBS This Morning" Monday. Comments like that drew the ire of President Obama Monday when he addressed the refugee crisis during a press conference at the G-20 meeting. He sharply criticized Republicans for calling for a religious test. "When I hear political leaders suggesting that there would be a religious test for which person is fleeing from a war-torn country is admitted, when some of those folks themselves come from families who benefitted from protection when they were fleeing political persecution, that's shameful," the president said. "That's not American, that's not who we are."